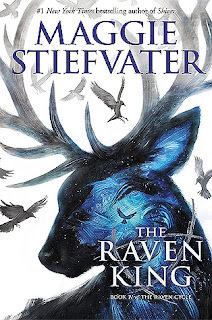 Blurb Description: The fourth and final installment in the spellbinding series from the irrepressible, #1 New York Times bestselling author Maggie Stiefvater. There's always something nostalgic about coming to the end of a series. You've been waiting years and years for this moment, and when you flip past the last page, you honestly can't believe it's over. This is currently me, with The Raven King. It's so strange to think that a series I've followed for years is OVER, because it certainly doesn't feel like it. I read the last 200 pages in one fell swoop, and it just got over SO FAST, you know? I keep hoping that someone will pop up from behind a bush and say "It's not over! WE GOT YOU GOOD! Here's the next 10 books." 1. 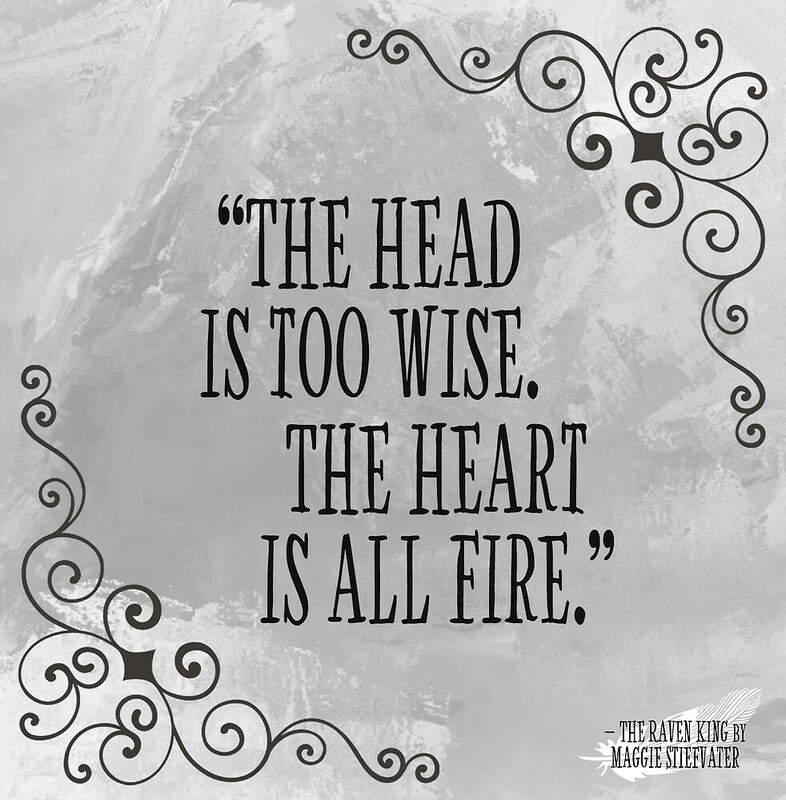 I DIDN'T THINK IT WAS POSSIBLE FOR MAGGIE STIEFVATER'S WRITING TO GET BETTER BUT HOLY COW IT DID. From the very first page, she gorgeously drew us back into her magically realistic world and I WAS ABSOLUTELY ENTRANCED. 2. My main problem with book three, Blue Lily, Lily Blue was the PACE. It was just so slow with so many unnecessary tiny plot developments and I was scared that The Raven King would be the same. IT WASN'T. I was sucked in from the first page with some delicious writing and plot lines and just the anticipation that THIS WAS THE BOOK WE'D FIND GLENDOWER. "Ronan wrenched his tie loose. "You working after school? ""With a dreamer. "He held Ronan's gaze over his locker door. School had improved....Adam smiled cheerily. Roman would start wars and burn cities over that true smile, elastic and amiable. " LIKE I SAID. I FELL, AND I FELL HARD. Please tell me this means that Adam will be there in the Ronan Trilogy because NEED. HELLO? I will combust into a puddle of happiness and feels to have an entire TRILOGY about these two. 4. The ending was very... Abrupt. There was a particular revelation about one of the Raven Boys that was SHOCKING but other than that, I found it sub-par and lacking the greatness I expected from it. Still, with Adam and Ronan and my heart soaring, I honestly didn't care much for this aspect of the ending. 5. I don't know WHAT I felt about certain characters including the Laumoniers, Piper Greenmantle and ESPECIALLY Henry Cheng. I sort of begrudged them a space in the story, but I did t care for them at all. Let's be honest, I'm TRASH for this series. It's one of the best out there, in my opinion BECAUSE it's so different. I cannot recommend it enough because when you fall, you will FALL HARD AND THERE WILL BE NO COMING BACK AND, really, ISN'T THAT WHAT YOU WANT ANYWAY? The Raven Cycle is an addicting, magical, lush, spellbinding quartet that will leave you gasping for more. 5 stars. Are you AS in love with Adam and Ronan as I am? What is your favourite part of this series? ARE YOU EXCITED FOR THE RONAN TRILOGY?